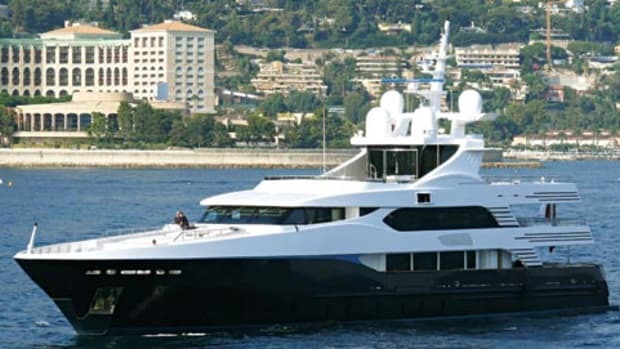 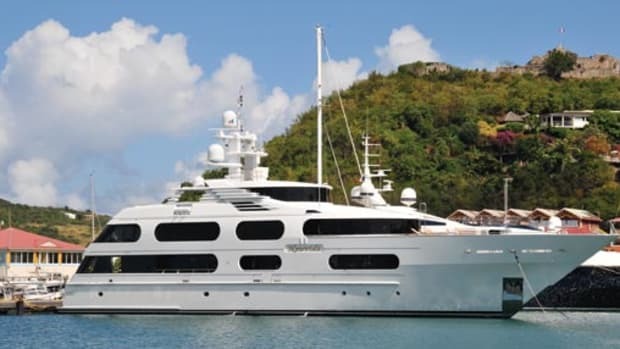 Six guest staterooms, all with balconies, and a dining area that lets you watch a helicopter land and take off from the deck are among the features making this converted vessel stand out. 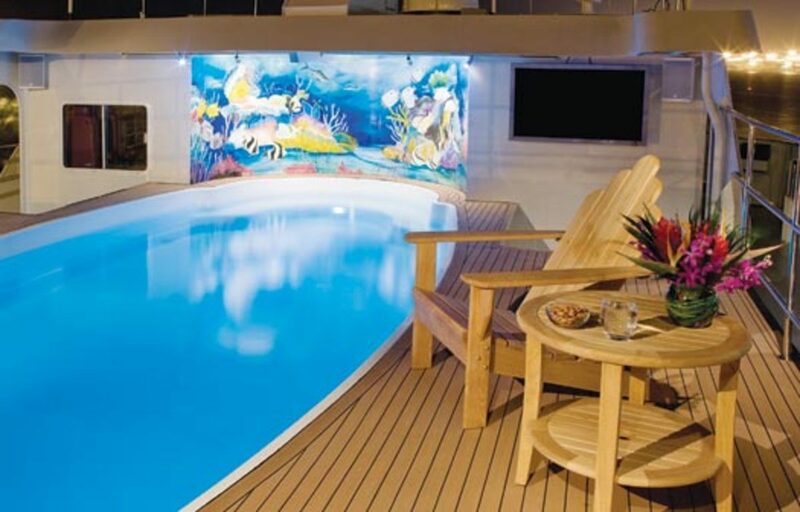 There’s also a 65-inch TV in the theater on the lower deck, just forward of the galley. 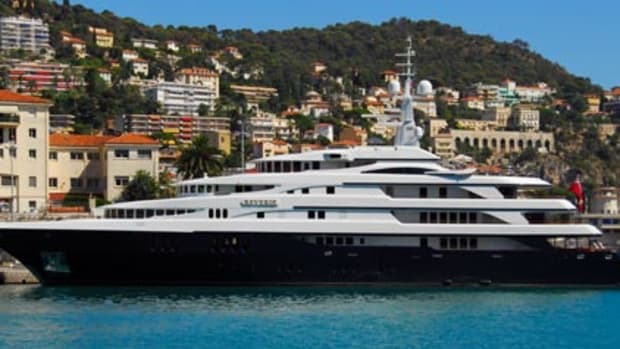 • the yacht can carry more than 91,000 gallons of fuel.